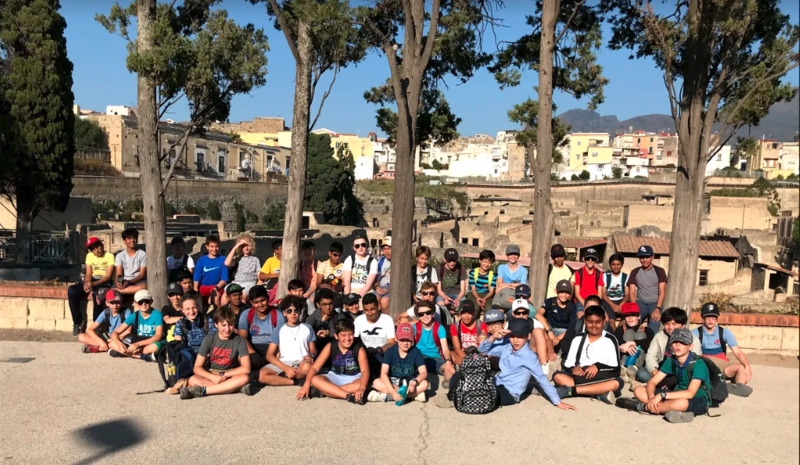 47 boys participated in the annual Year 8 Classics Trip to the Bay of Naples at the end of September. Over the course of the 3 days, the boys visited all the major classical sites in the area, including Pompeii and Herculaneum as well as the lesser known gems of the amphitheatre at Pozzuoli and Nero’s wife’s holiday villa at Oplontis. The weather was very kind to us and the view from the crater of Mount Vesuvius after the hike to the top was spectacular in the glorious sunshine and Mediterranean heat. 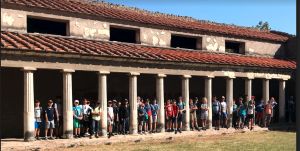 In addition to sightseeing, the boys sampled lots of delicious local cuisine and even made their own pizzas after a demonstration from a real pizzaiolo. Plenty of gelato was consumed as well! The boys were uncomplaining about the relentless schedule and really appreciated all we did and saw.